His interest in magic led to an interest in other performing arts, especially puppetry and juggling. He even played in a rock and roll band (back when fifties music was still top 40). Entertainment gave Kent a wholesome hobby as well as a source of income, and it helped pay his way through college. Even while still in high school, he won trophies at magicians’ conventions for his magic and juggling performances. Upon graduation from college, however, Kent took on a healthy dose of “real life,” getting married to Margot, his childhood sweetheart and being commissioned into the Army as a Second Lieutenant. His military specialty was club management, and he was responsible for military clubs and recreation activities in France, Germany, Vietnam, Korea and the United States.While on active duty, he also became known as an excellent speaker, writer and teacher, especially in the field of hospitality and entertainment. While working on his MBA at the University of Texas in Austin (still on active duty), Kent and a friend started “the SamWitch shops,” which grew into a successful chain of restaurants in Austin. In 1976, Kent left active duty to finish his military career in the Reserves, with his primary job the CEO of Galatex, Incorporated, an entrepreneurial corporation that owned the SamWitch shops, Austin Cabaret Theater and various other ventures. In 1986, after selling the SamWitch shops and resigning from Galatex, Inc., Kent finally realized his boyhood dream. He became a full-time professional magician. But it soon became obvious that Kent’s particular gift was in teaching, as he used magic to teach kids about their eyes, adults about the United Way, and everyone about recycling. It was Magic with a Message! In 1993, a business friend convinced Kent to take his popular teaching programs and create a summer camp. 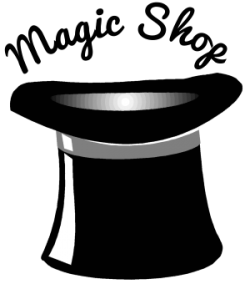 The Magic Camp for children continues to use the fun of magic, juggling and puppets to raise self-esteem in kids. And similar programs are used to motivate adults in keynote addresses and corporate training sessions. One division of Dell Computer even participated in a Grown-Up Magic Camp as a teambuilding exercise! Today, Kent continues to present motivational programs for children and adults. He is in demand as a keynote speaker for high-tech companies, service organizations and international associations, and has given programs throughout the United States, Canada, Europe, New Zealand and the Far East. Every program Kent Cummins gives teaches a little about goal setting, time management, and the importance of an ethical foundation. And every presentation includes a bit of magic!